4 Gambling Myths True Or Not? Do you know the myths and the facts about gambling? Find out the facts and the myths about gambling addiction. 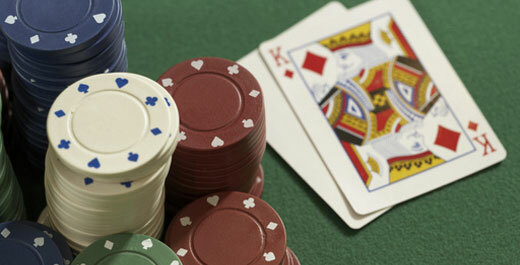 Gambling includes betting on sports, scratch cards, roulette, poker, and slots in a casino or online. The first myth is that you are a problem gambler only if you gamble daily. 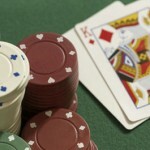 Many clients do not believe themselves to be addicted to gambling because they do not gamble every day. A client, Jodie age 28 stated “I thought that I was not addicted to gambling because I did not go very often. I go about once a month but I realized that I would stay at the casino for many hours and lose a large sum of money. The amount I lost caused me problems and I would always end up working twice as much to make ends meet.” As you can see, Jodie did not have to gamble every day to be a problem gambler. One can be addicted to gambling even if they gamble infrequently. Second myth is that if you can afford to gamble then you do not have a problem. Zach age 34 expressed “Whenever I gambled, I never lost enough to the point where I was in debt. I could afford to gamble so I believed I did not have a gambling problem. However, my family became increasingly upset with me because I was spending more time at the casino than with family. I started missing out on my son’s baseball games to gamble. It made my son depressed due to the belief that I no longer cared. It led to all sorts of problems with my wife and children. I may not have been ruining myself financially but I was ruining my relationships.” In Zach’s case, he had no trouble financially but gambling consumed the time he could have spent on his family. A third gambling myth is that the partners of gamblers make gamblers gamble more often. Many gamblers avoid responsibility and tend to blame their behavior on others. Taylor, age 46 stated “I can’t stop gambling. My wife drives me crazy with the nightmarish cycles and she always complains about how we don’t have enough money. My wife nags me to get a better job but I can’t. She makes me stressed out and I can only work so much. I have to go to the casino to try and win the extra money for her.” Taylor believed that he was being forced to gamble due to his wife being upset about their financial situation. Gambling actually creates more financial debt and Taylor neglected to acknowledge that. The fourth myth is that when a family member or a friend pays off a debt of a gambler, they are doing them a favor. This is actually a lie. If you pay off their debt, you are encouraging their behavior due to the fact that you are giving them an easy break. They aren’t able to learn from their mistakes and deal with the consequences. Eventually they will have to deal with the consequences but it is much better if you let them learn earlier than later. Paying off their debt is a quick fix but it is merely temporary. I have found these gambling myths to be very common and to be false. If you need continuing education about gambling addictions and how to treat them, visit my website http://www.onlineceucredit.com/ceus-online/gf-gambling/continuing-education.html.